You can learn new tricks! 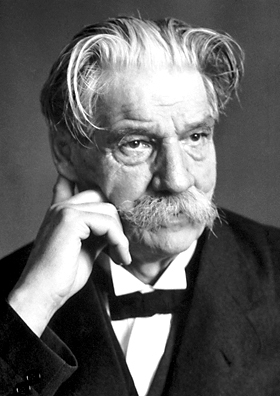 As a young man, Albert Schweitzer made big marks in several fields. He was a renowned organist and an expert on Bach. He had earned a doctorate in philosophy and another in theology and had written a book that turned contemporary theological thinking on its head. Of course, he still had plenty of learning to do. First, become a medical doctor then found a hospital in West Africa (paid for largely by organ performances in Europe). He later developed from Hinduism’s ahimsa the concept of “Reverence for Life,” got a doctorate in music, won a Nobel Peace Prize…. And so on. So, when’s the best time to learn a new trick? When you’re thirty? When your kids are grown? When you’re financially stable? How about Now? God help us if we begin to lose our passion for learning new tricks. More important, what would you like to learn? Spanish? Creole cooking? Improve your skill at a sport? Skills to start a new business? How to solve a challenge in your community? Whatever you’re doing, you can always learn better ways, new tools to be more effective. There’s something you want to do, but you may feel the learning curve is too high. The good news is that in this time of Open Culture, we have access to learn almost anything. Think You’re Too Old (or Young) to Learn New Tricks? Roughly translated from the vernacular, that’s “you can’t teach an old dog new tricks.” It’s a saying that’s quite familiar today, even among non-pet owners. But is there any truth to it? To take this timeworn adage for a walk around the block, MythBusters Jamie Hyneman and Adam Savage found a pair of aging Alaskan malamutes who didn’t know a single trick in the book. As 7-year-old canines, siblings Bobo and Cece were equivalent to a couple of 50-year-olds in dog years, arguably qualifying them for the “old dog” category. Feeling old is only a mental trap. You’re always young enough to start something new. Not enough time is another trap. As is being too young. As is “it’s too hard.” Maybe you have a bucket list or a way to develop your career. Get on the on ramp. Spend the time and energy. Start learning. If you stay with it, the rewards are great! Here are some tips on getting started (through repetition). 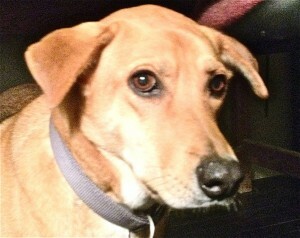 Photo: CC, Nobel Foundation, and Wylie who occasionally learns a new trick.